ANC Gauteng in door-to-door campaign in West Rand - SABC News - Breaking news, special reports, world, business, sport coverage of all South African current events. Africa's news leader. 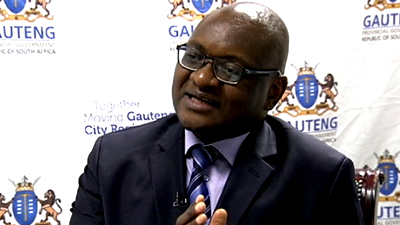 Gauteng Premier David Makhura says the ANC-led government will intensify efforts to improve service delivery across the province. The ANC in Gauteng came face to face with the plight of residents on the West Rand on Tuesday during a door-to-door campaign. Poverty and unemployment are on the rise and the community has lost hope. However, Chairperson David Makhura says the ANC-led government will intensify efforts to improve service delivery across the province. Gogo Melita Moloi, 74, stays at the back of a house which belongs to her children. She says politicians come and go, but there’s no change in their lives. Moloi has been waiting a house since 1998. Most young people are unemployed and loiter around the streets. Some have turned into Nyaope addicts – something that worries them most. “The youth is struggling here because we not working besides sitting and smoking nyaope,” says one resident. “In June, we will be out of jobs. We appeal for permanent employment because we have kids and we have so many responsibilities,” says another. But the ANC in Gauteng says it’s never too late – change is coming. The ANC in the province has appealed to all potential voters to register by the end of January. This entry was posted on 15 Jan 2019,08:42PM at 8:42 PM and is filed under Politics, News, Homepage Latest Stories Slider. You can follow any responses to this entry through the RSS 2.0 feed. Both comments and pings are currently closed.